As already known that Whatsapp is now owned by Facebook, still it is the most popular and best chatting app so far with 700 million monthly active users and 30 billion messages sent accross daily as said by WhatsApp CEO Jan Koum. will leave you with even better and sweeter memories. Upgrading to WhatsApp Plus will require you to uninstall the green-themed WhatsApp and follow it with downloading the blue-themed WhatsApp Plus. One major benefit you’ll get with WhatsApp Plus is the provision to customize the application and make it your own. 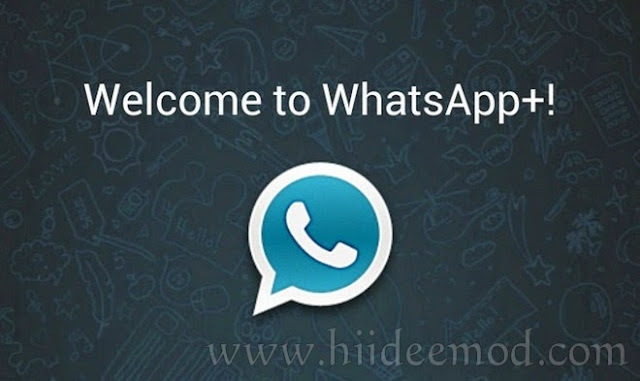 WhatsApp Plus comes with a number of benefits when compared to the green-icon WhatsApp. Below are the benefits of WhatsApp Plus. get bored of seeing a single theme every time you use the app. to. You can always enable other people viewing your online status when you are ready to socialize again. exposed to a huge number of emoticons that you can use, to make your conversations more vivid and fun at the same time. In this way, you can easily pass a message that would have been otherwise problematic to express in words, through calls or in person. users communicate in style and delivers your multimedia message clearly as intended. Since the app is not available on Amazon Store or Google Play, users only have the option of resorting to third-party stores to buy and install it free on their device. First to install WhatsApp Plus, make sure that your device doesn’t have the official version of Whatsapp installed as said earlier. If you have the original app, uninstall it from your smartphone first before proceeding to the next step. Once your smartphone is WhatsApp-free, now you have full access to third-party sources like sites or other apps where you can install WhatsApp Plus free version. You will get a file with the extension .apk once you have downloaded the app. Store this extension on the external SD card on your device. Remember that the WhatsApp Plus will only function with the ”apk” file therefore ensure that you install both on your phone. Set the security feature to ”option unknown sources” to always install apps and even games that you can’t get directly from Google Play. This will make your work simpler when downloading or installing extension files for WhatsApp Plus on your smartphone. Just Install and enjoy chatting. Next articleSamsung Galaxy Tab S VS iPad Air 2 – Which one is Better?